All books are due in the library by May 22. Please help your child to get all books turned in. If a book is not returned by the last day of school, your child's report card will be held until the return of the book or it is paid for. Thanks for your help and support. 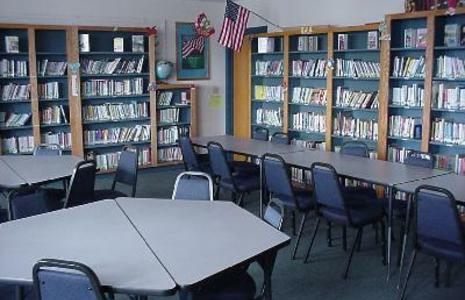 The library at Idaho Hill is open for all the students every day. We have a great selection of books for the staff and students to borrow. The library is fully automated to better help the students and staff view the library collection and locate books. Students can have a maximum of 3 books checked out at any one time. We run our library on a tight budget therefore students are responsible for the books they check out. If a book is damaged or lost, students are responsible for the replacement cost of the book. A notice will be sent home with the student for the cost of the book. We encourage students to take books home to share with their families, but care needs to be taken in going to and from school. If you see a library book at home, please send it to school with your child.